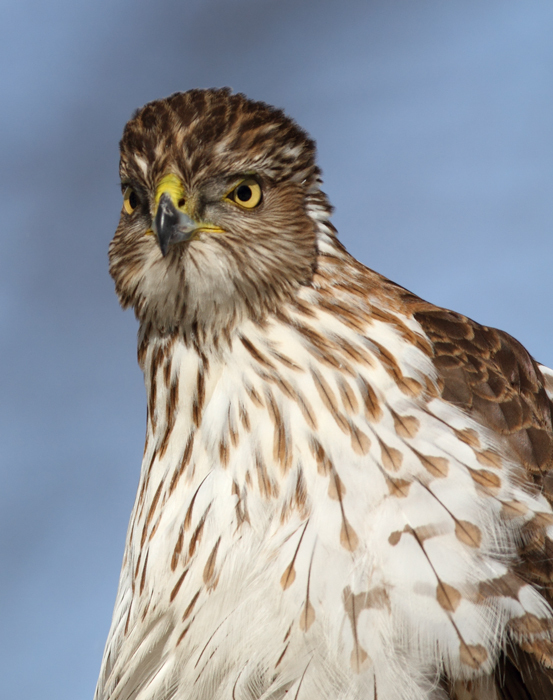 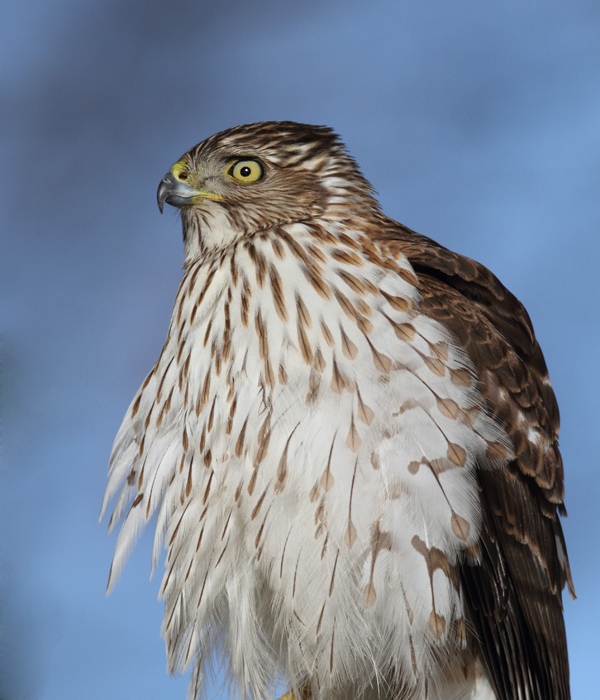 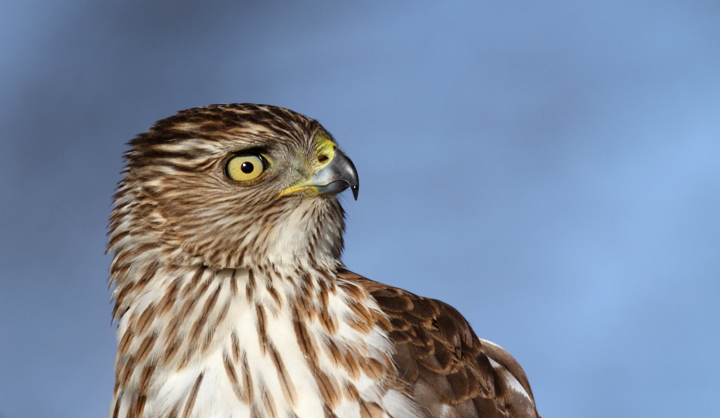 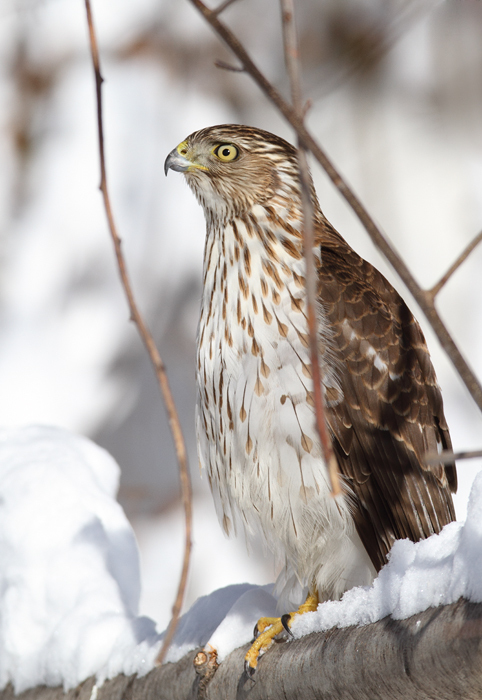 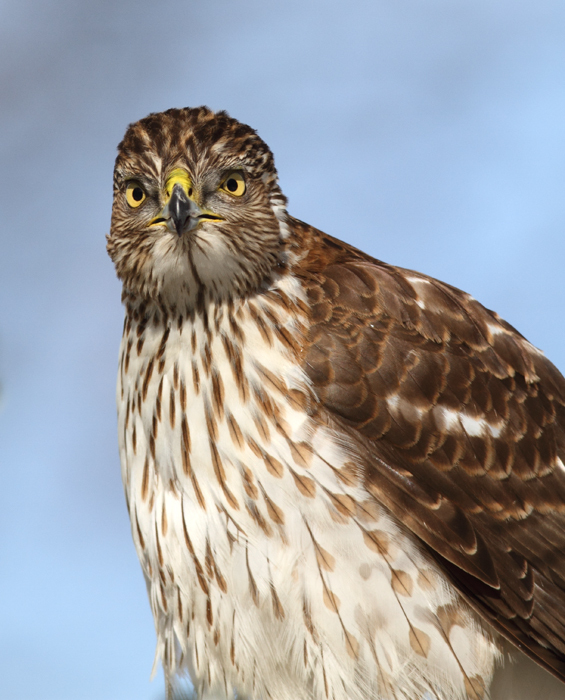 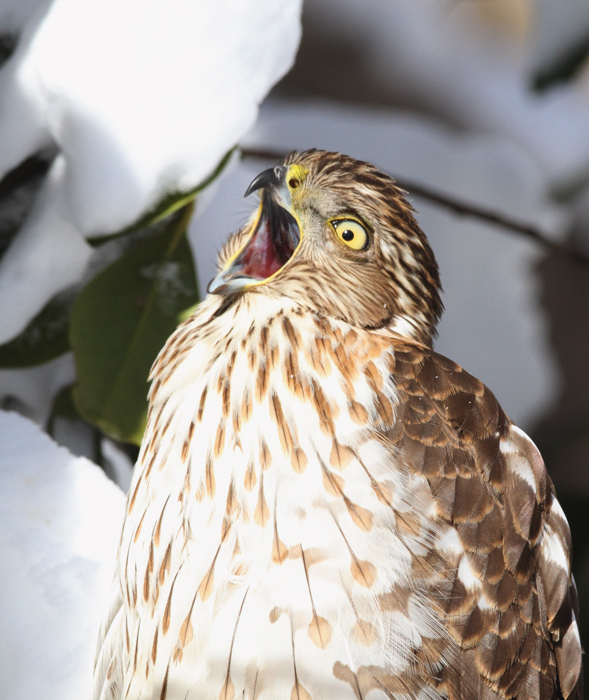 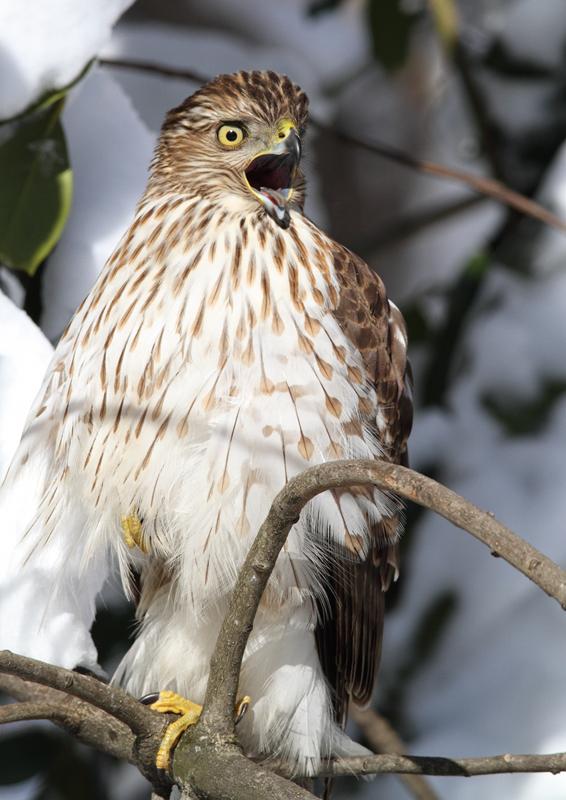 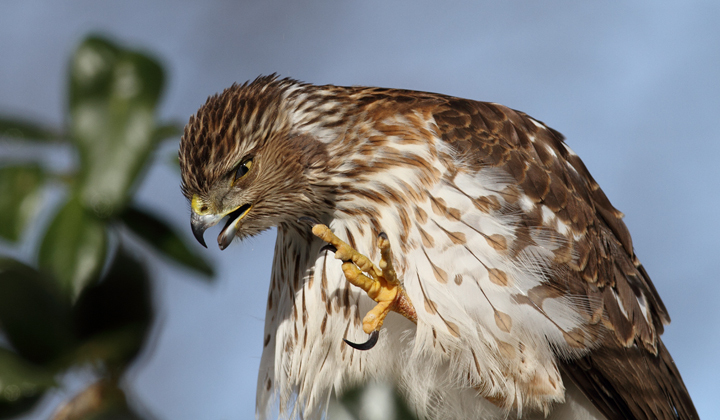 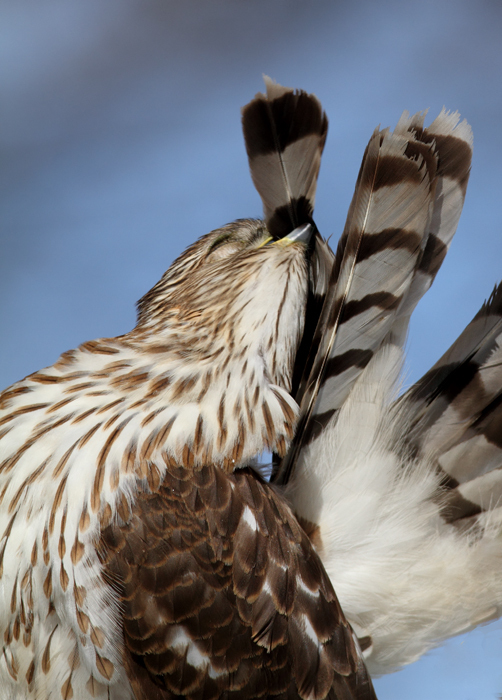 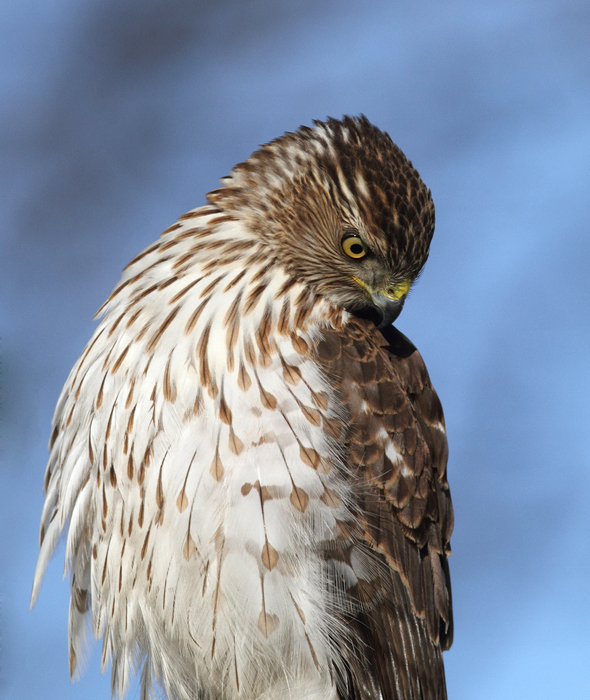 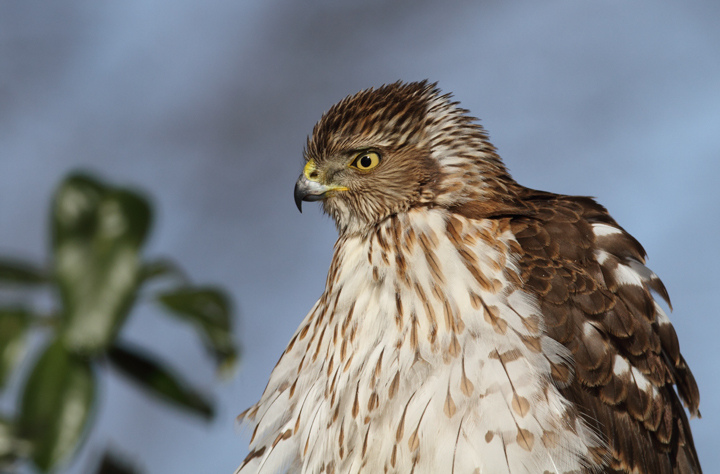 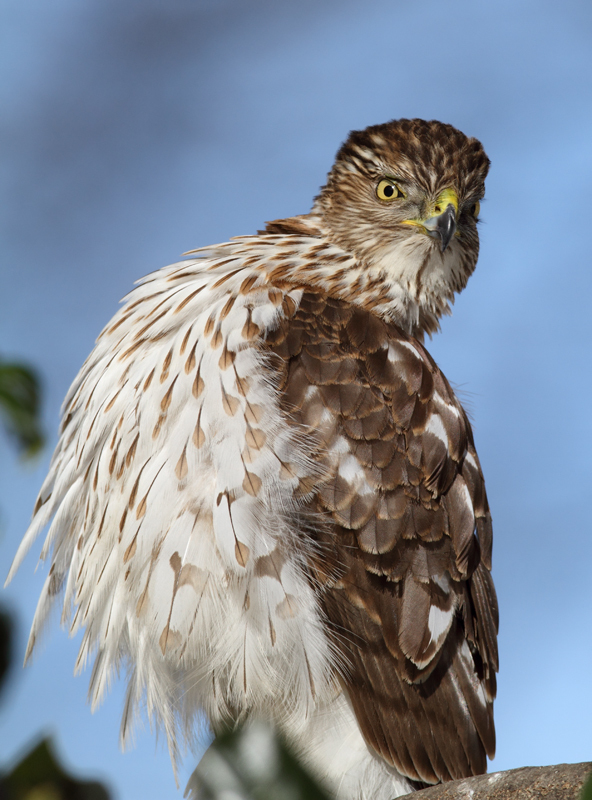 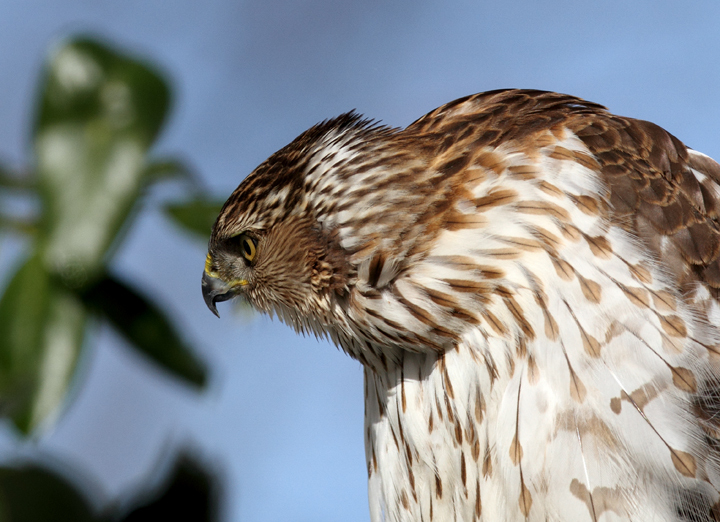 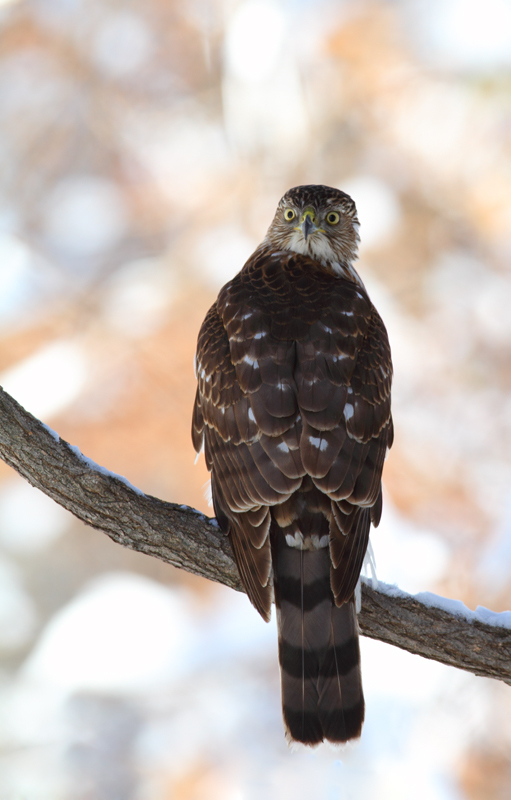 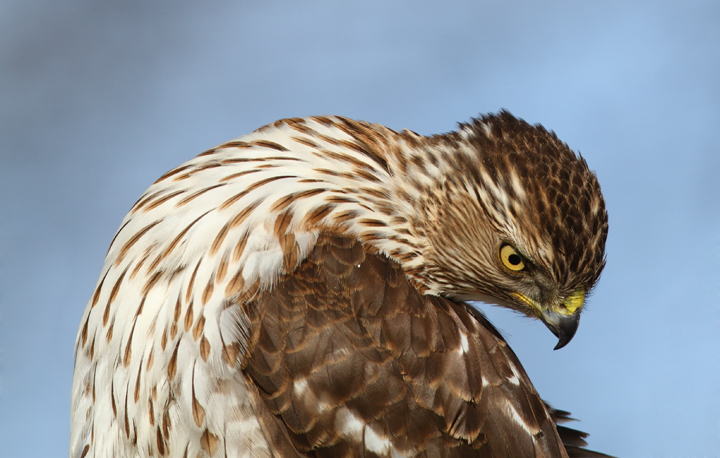 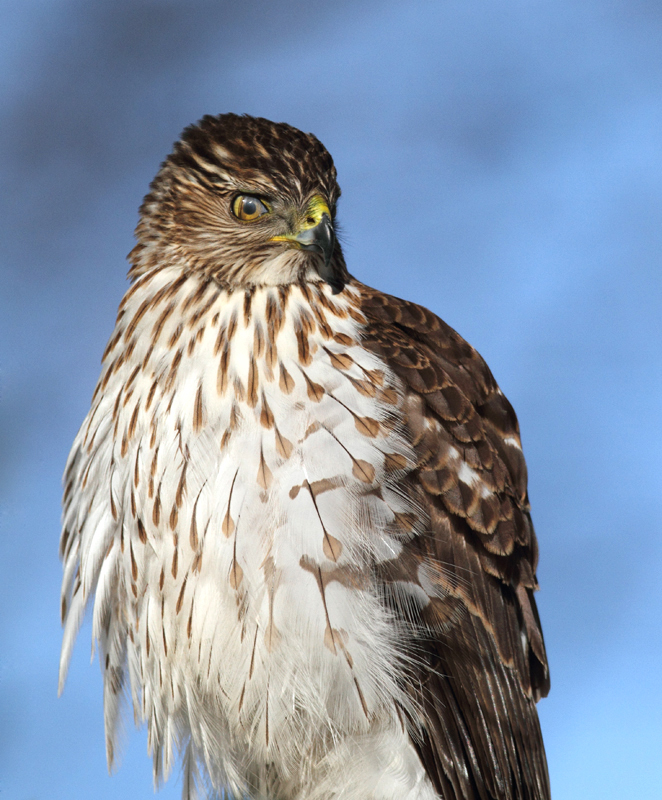 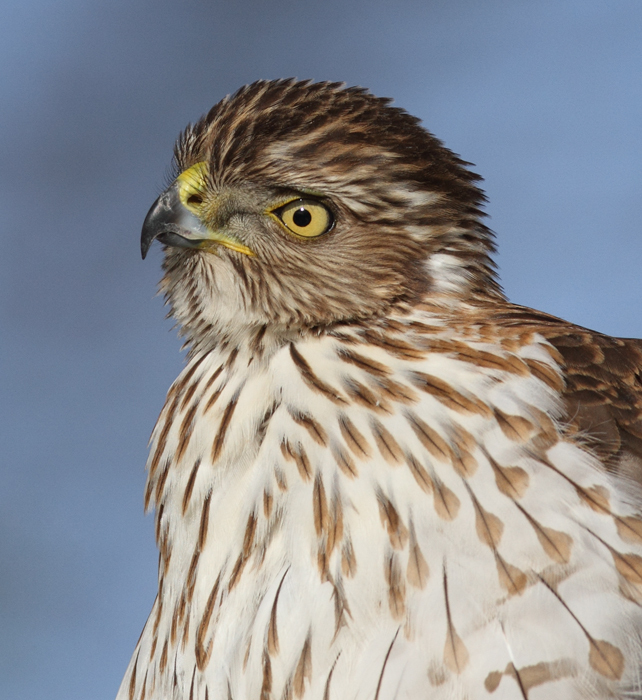 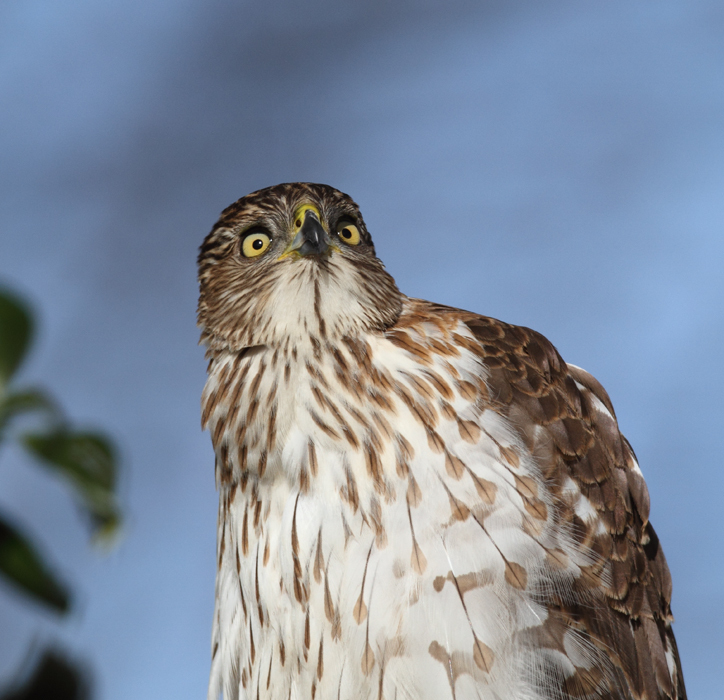 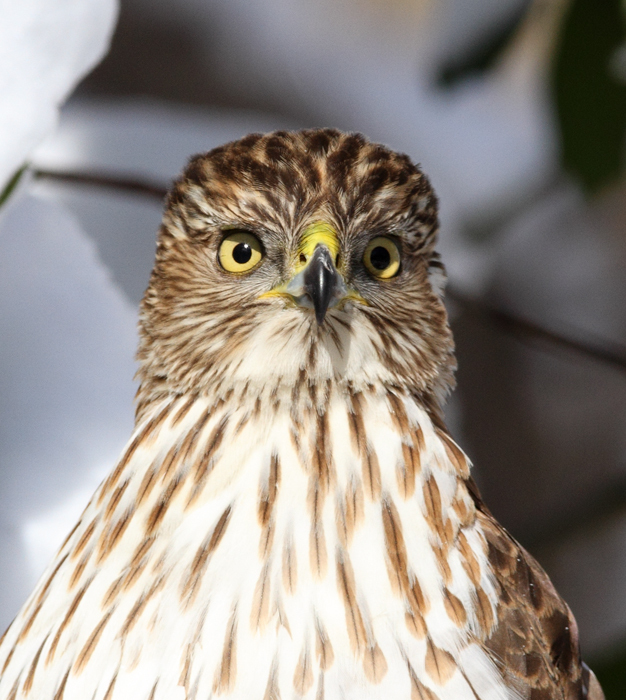 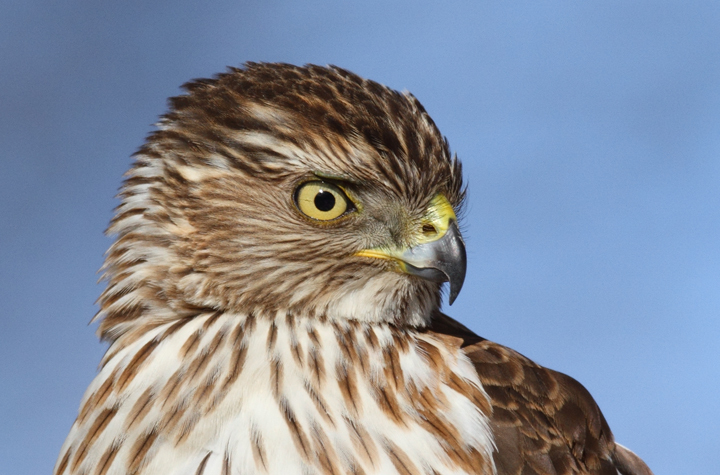 Below: An immature Cooper's Hawk made an attack run on our feeders and then hung out for 30 minutes preening and hunting. 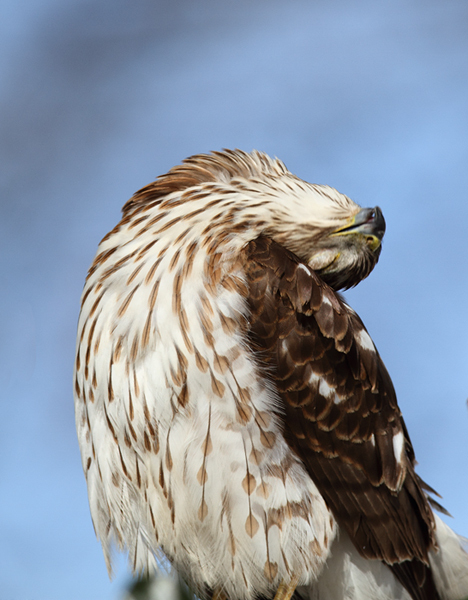 It was an immensely enjoyable opportunity to study this beautiful raptor from so close. 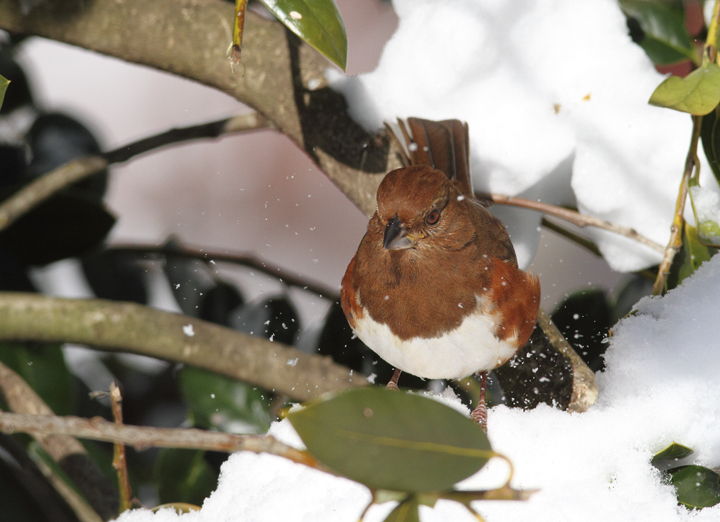 (Pasadena, Maryland, 2/7/2010). 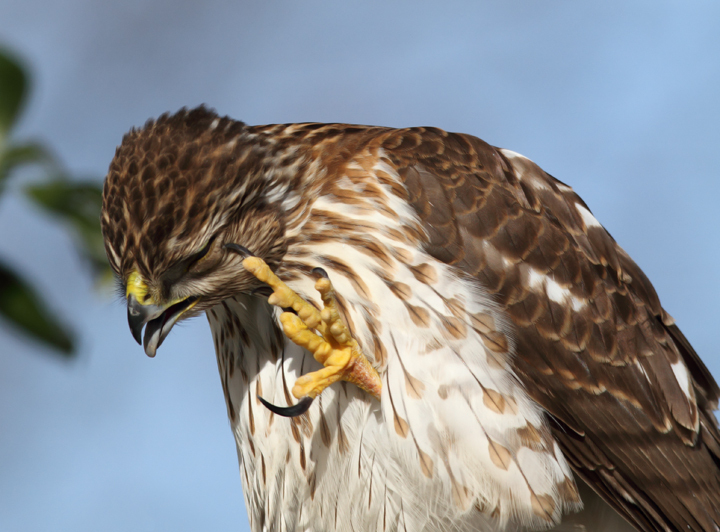 That's right...Transparent eyelids (at least one of their three sets). 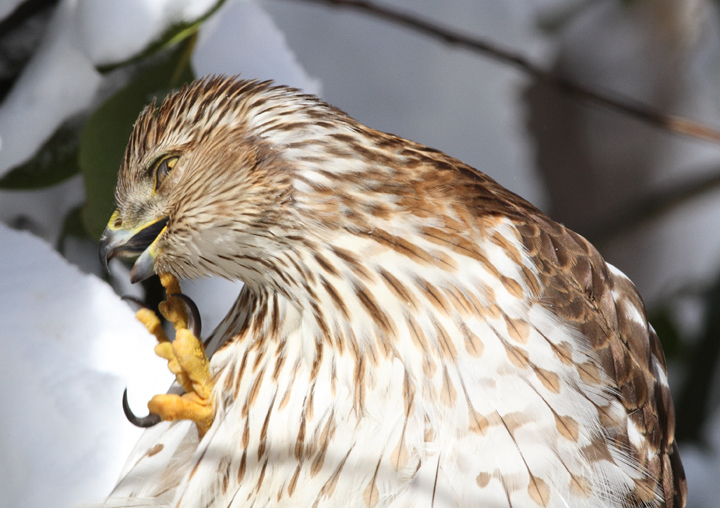 A fine innovation for any species fond of killing and devouring. 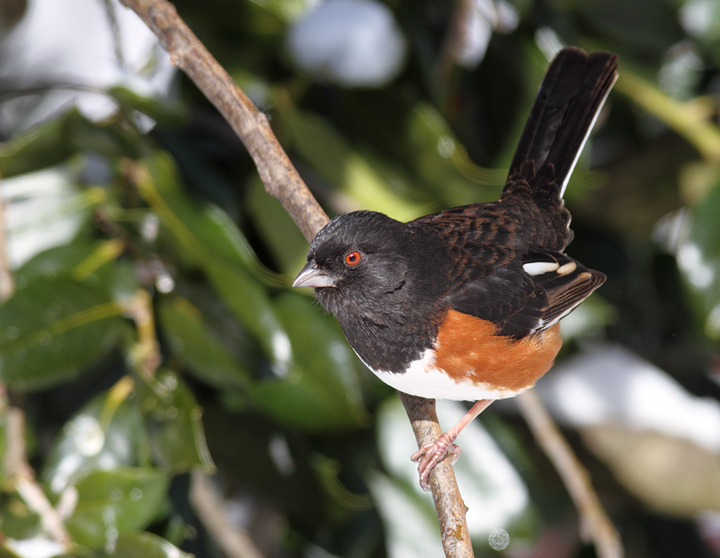 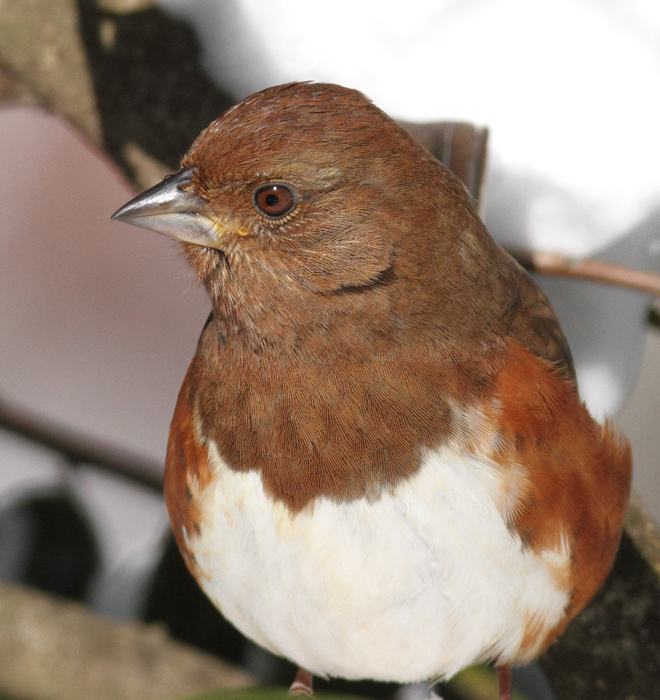 Below: Eastern Towhees feeding below one of our hollies (Pasadena, Maryland, 2/7/2010). 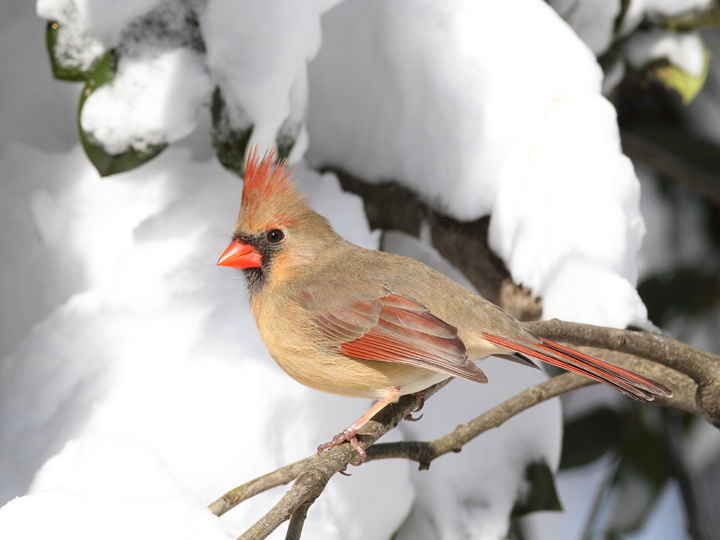 Below: A female Northern Cardinal in our yard in Pasadena, Maryland (2/7/2010). 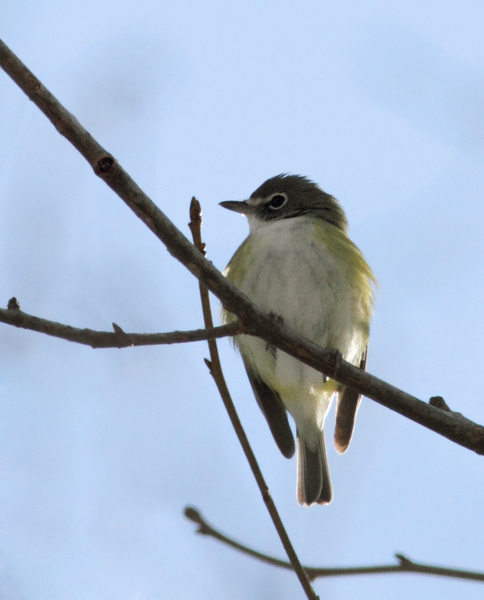 Below: A wintering Blue-headed Vireo in eastern Wicomico Co., Maryland (1/31/2010). 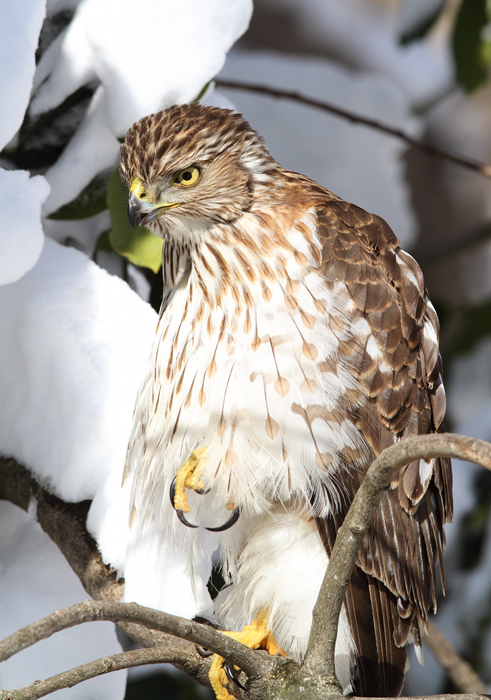 A great find by Ron Gutberlet, this probably represents one of the latest winter records in the state. 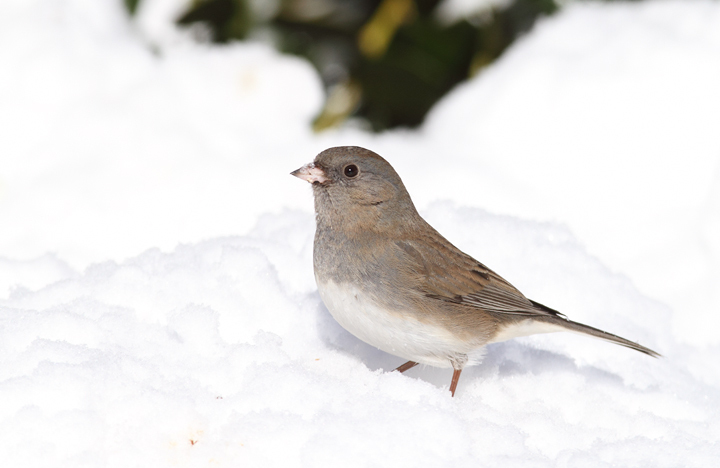 Below: A Dark-eyed Junco feeding in the snow near our feeders (Pasadena, Maryland, 2/7/2010). 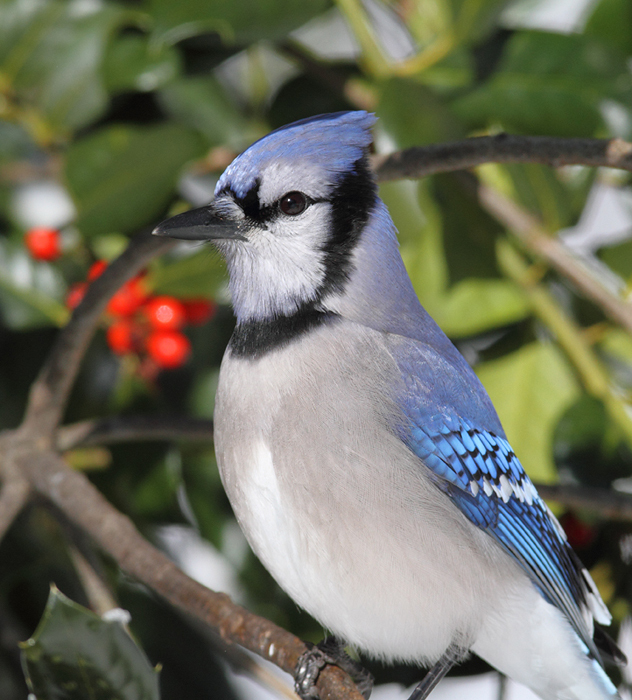 Below: A Blue Jay posing in our yard in Pasadena, Maryland (2/7/2010).